Pav bhaji, is a very popular indian street food. Pav bhaji literally means bread and vegetables. The vegetables are cooked and mashed then spiced with a pav bhaji masala and generally topped with generous quantities of butter and served with pav/bun. Here in this recipe I used all green veggies – Spinach, Peas, French beans, Green peppers. Use them along with potatoes and not just potatoes as the main part of the mash, so you get a mix of seasonal vegetables. I like to use a spinach as well for a brilliant green colour. The freshly prepared chili garlic paste adds a ton of flavour and contributes to the flavour of the bhaji . Serve it with multigrain rolls or bread and you’ve cut out most of the refined flour as well. Blanch spinach in hot water for 4-5 minutes, drain and blend it to smooth puree and set aside. Boil potatoes- peel, mash them and set aside. Add green chilli paste, mix and saute for few seconds. Add green beans, green capsicum, broccol and cook for 4-5 minutes. Add pureed tomatoes, mashed potatoes, frozen peas mix well and continue to cook for another 4-5 minutes. Add ground spinach puree mix well and add pav bhaji masala, salt mix well cover and cook for 8-10 minutes- mash then with the masher and add water if required and cook until vegetables are mushy and blends well. Once the bhaji is bubbles switch off the flame, stir in some fresh coriander/cilantro. Slice the pavs into two halves. Heat the griddle/tawa and roast the buns with some spread. 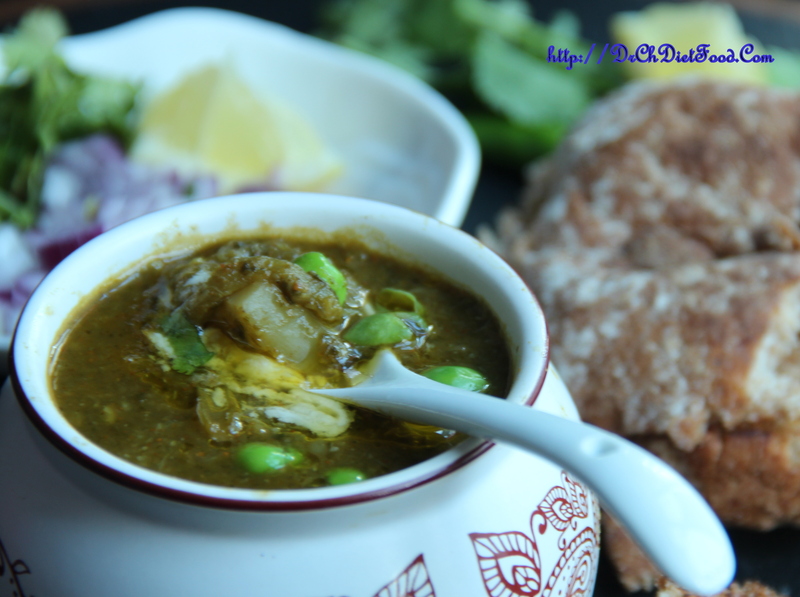 Drizzle some lemon juice, fresh coriander on bhaji, serve hot with roasted pav/bun and onions. Combination of vegetables can be personalised as per the taste. Posted on April 11, 2015, in Indian, Starters. Bookmark the permalink. 21 Comments. Just as well I’ve had breakfast. This sounds delicious. 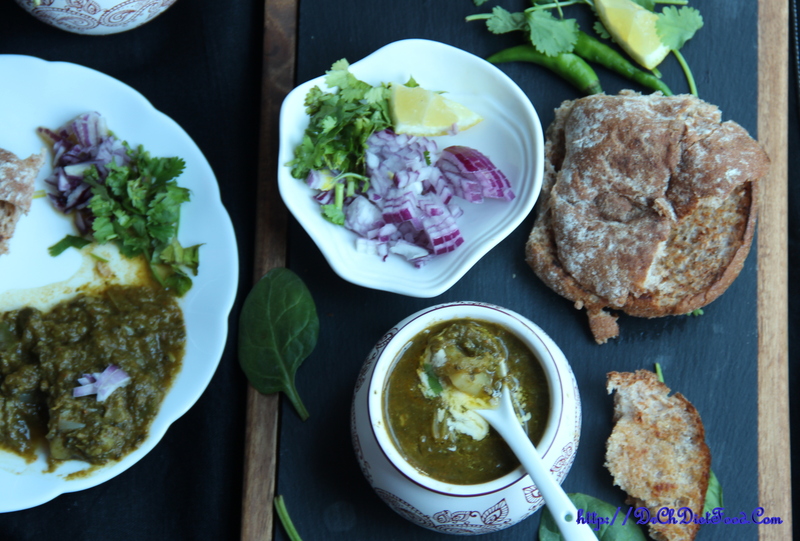 Gorgeous recipe – my husband (of India background) recently cam back from India ad was totally raving about the street food – now I can see why!